This verse is in memory of Blanche Colton Williams. And who was she and what brings these deserving kind words to her grave? Lets find out more about this ancestor who left such a great legacy! Blanche Colton Williams was the daughter of Millard Fillmore Williams, better known as “Peter” and to his wife, Mary Ella Colton. Her father spent his youth on a farm near Kosciusko, MS. Before he was 10 years old he heard the guns of Shilo and Corrinth and he was angered that such a war could happen to his beloved South! After the downfall of the Confederacy, he built the basis of an education on which he rose high among school masters of his day. An essay he wrote on “Education, the Only Answer for the South” was widely published. His story “Buford”, written at the turn of the century, has found its way into our English Composition books and also into stories of College classes. We mention this because this story pictures the life of the Mississippi rural teacher in the closing decades of the 19th Century. Her mother’s people had come to America and founded the town of Longmeadow, MA. Some branches of the family eventually came on to Kilmichael and Vaiden, MS during the land rush. “Miss Ella”, as she was fondly called, was a proud woman who never bowed to adversity. Remembered are the stories she told us about her family when she was young. She would say, “your Grandfather couldn’t grow a potato, but oh how he could read the Classics! The books came alive for Siblings Blanche, Wirt and Sidney. After “Peter” William’s death in 1900, the mother Ella married C. L. Dickerson of Schrock, MS. He was a stately, gracious man and Schrock now became home. The press has called this family “the writing Williams” and in some way they all contributed. Brother Wirt, after 54 years of teaching in Mississippi, retired as Head of the Social Science Dept. of Delta State University and typified all that is best in a gentleman. He called himself “a teacher with an ideal”, and few doubt he hadn’t lived up to his ideal. It was during his quarter-century at Delta State he achieved prominence in mid-South historical circles as a contributor to publications and as a consultant. He wrote the history of the Daughters of the American Revolution for the state of Mississippi. Every time we see a historical marker in this state, we can give Wirt Williams credit for it being there! His son, Wirt, Jr., is carrying on the writing Williams tradition. He has 7 best selling novels to his credit, plus a translation of “The Blue Angel”. and Sidney is a noted “eye, ear and nose” specialist, who took his training in Nancy, France after the 1st World War. He practiced in New York, Pittsburgh and Jackson, MS.
What of Blanche, you say? Born Feb 10, 1879 she was only 15 when she entered college. She had had only three teachers prior to when whe went to the old I. I. & C., now the Mississippi State U. for Women; her father, her father’s best friend, and the principal of the Kosciusko school. At 19 years of age, in 1898, she graduated with honors and a degree of A.B. Her first position, after graduation, was at Stanton College, Natchez, MS. Here she taught English Composition for six years. It was while she was at Stanton she received her first check for literary work. It was for $2.00 and came from Lippincott’s Magazine, published under the name of Blanche Colton Williams. From 1904 to 1907 she taught at Grenada College, Grenada, MS. Then came her first trip abroad and with it a stimulation to move on to broader fields. Opportunity came with the award of a $500 fellowship for graduate study at Columbia University. It was given to her by the alumnae at Miss. State College for Women. She repaid this debt many times over in her continued kindness to fellow alumnae and to other Mississippians in New York. before sailing for Europe to spend Sabbatical leave in study and travel. She received her M.A. Degree in 1908 and was invited to teach at Columbia while she proceeded to work on her Doctorate, which she received in 1910. In her research, she spent short periods at the University of Chicago and at Harvard. She spent several months in England studying manuscripts in Anglo Saxon. She was also the first woman ever allowed to use the Oxford English Library. And she was guarded as she read the old books and prepared her first publication on “Gnomic Poetry in Anglo Saxon”. This was her dissertation. She later was invited to read at Oxford and did so for twenty-seven years! Discussing marriage and a career, which was a problem even back then, she felt that it was too difficult a job for a woman to combine a career, motherhood and marriage without losing some of the full joy of her home and family, or without impairing her health. “I do feel that a woman with a husband, home and no children could work half a day at some position. Certainly every woman should be prepared for one or more jobs so that in an emergency caused by illness or financial changes she should help her husband carry the burden of the home.” “When I decided to make my career the most important thing in my life, I aimed to be a better teacher than any other, if I could, and to look less like a teacher than any other scholar I knew,” explained this vital, charming blue eyed pretty woman. During these first years at Columbia, she became so interested in the short story that she wrote her “Handbook on Story Writing”. It was the first practical aid to groping young writers that was ever put on the market in this country. Somehow she still found the time to deliver occasional lectures on story writing and was a fiction adviser to McCall’s magazine. At this time she was asked to take over classes of the short story department of Columbia, University. There were only two classes then included, but Dr. Williams got such startling results with her students that young and old flocked to her in such numbers that many other classes had to be added. Her students numbered over 3,000. In 1910 she began her long service at Hunter College, New York, keeping up her classes at Columbia at the same time, and writing for publication. She has to her credit not only the “Handbook” in many editions, but “How to Study the Best Short Stories”, “Our Short Story Writers”, “Studying the Short Story”, “A Book of Short Stories”, “Great Stories of All Nations”, with Max Liber, “The Panorama of The Short Story”, “Short Stories for College Classics”, “Thrice Told Tales”, “New Narratives”, “Do You Know English Literature?”, “A Book of Essays”, “A Christmas Collection”, “An Old English Handbook”, “The Mystery and the Detective” and “Plain English” plus there were others. Another contribution in the field of the short story was her chairmanship of the O’Henry Memorial Award Volumes from 1918 to 1932. She was the first chairman and one of the founders of this great memorial award. In 1926 she became head of the English Department at Hunter College, giving up her classes at Columbia College at this point. Hunter College was the largest woman’s college on earth. 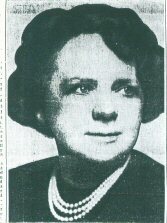 This distinguished service would last until her retirement in 1939, so she could have more leisure time for her writing. She was only 59 years of age when she tendered her resignation to the college, eleven years before it was necessary. As she closed her four offices behind her at Hunter College, she said, “I have long thought that educators, particularly women, have a tendency to stay in educational work much too long. What happens is that a person thinks she will retire at age 55 or at 60, but at 55 she is feeling so fine she decides she isn’t old enough for retirement so she stays on and the years go by and before long she is 70 and knows she can not take up a new work. But in the years between 50 and 60 one can take up a new work that has been set aside for lack of time.” Dr. Williams said emphatically, “I have done my work here, it is finished, I have passed on to other things.” Upon her retirement a permanent scholarship at Hunter College was established in her honor. And they did come. Three notable biographies, the first of these, “George Eliot”. This was written primarily in England at the home of Mary Ann Evans, who was the “George Eliot”. The English press said of the book: “Dr. Colton Williams has brought this woman full circle, to her place in the sun. “Clara Barton, Daughter of Destiny” followed in 1941. The publication of the book coincided with a great Red Cross drive and parades across the Nation. The book stores on Fifth Avenue made the book the center of elaborate displays. And in 1943, “Forever Young” - a biography of John Keats. These three biographies have been proclaimed the highest level of writing!. During these years, she was given the Columbia Scroll of Merit. Of all the honors that she now knew - this was perhaps the greatest. The award goes to an individual who has made distinct contributions to the human race! Her last work has not been published. It is the story of her childhood, the struggle of the South and it’s people. She called it “The Kingdom of a Child”. The setting of this story is Attala County, Mississippi. She had just completed the book when she became so desperately ill in the early part of 1944. There are hundreds of books, manuscripts and pamphlets that bear the name Blanche Colton Williams . . . but over and above these are untold numbers written under the pen name of Willermina White and also as Theodore White. These were novels, mostly detective novels; she said she wrote them just for relaxation! In the Spring of 1944 she left New York to return to her sister’s home at Shrock, MS. She died in the Baptist Hospital in Jackson, MS on August 9, 1944. In compliance with her wishes, her body was cremated and the gold urn interred at the foot of her parents graves in Kosciusko, MS. She had come back to rest in the place of her beginnings sixty-five years before.